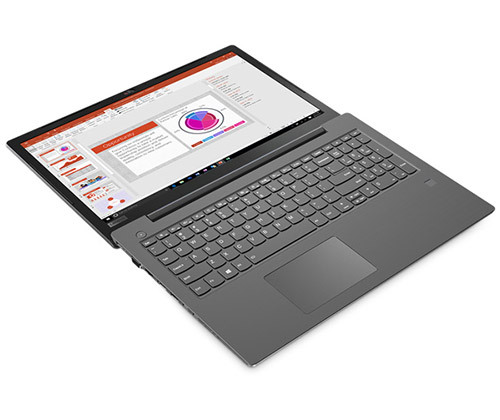 The Lenovo V Series laptops come with the latest technology, with a low cost and high spec approach – ideal for students or business professionals. Let’s dig into the Lenovo V330-15IKB and see what makes it a great machine for multiple uses. This 15.6” Full HD widescreen anti-glare display laptop with a 1920×1080 resolution makes the experience of using this modern technology even more enjoyable and is easy to maintain. Its reliability and durability has been examined via a series of rigorous tests including pressure test, operating temperature test and fan reliability test against shocks, drops and vibrations. So, you’ll have peace of mind knowing it can handle the worst! For those of you who have to stay connected with family or colleagues across border or even continents, the V330 provides for superb video-conferencing experience. The stereo speakers ensure great sound and the HD cam ensures crystal clear visuals so it doesn’t feel like you are communicating over long distances. 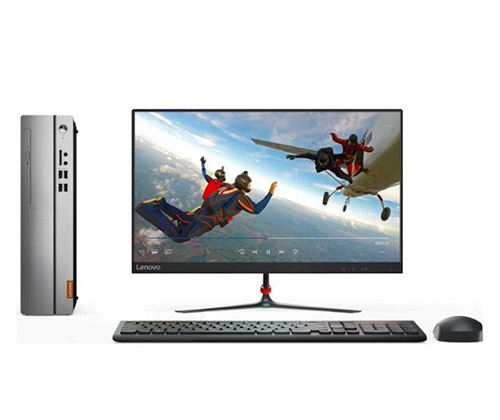 The Lenovo V330-151KB has taken the market by storm with its modern technology and contemporary design. 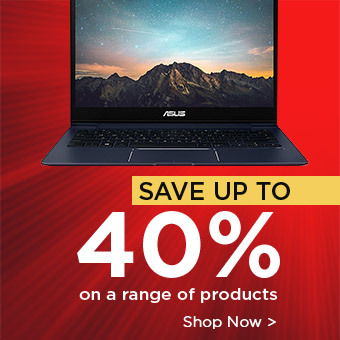 With up to Intel Core i7 processor you’ll get powerful performance and speed at a touch of a button, offering the simplicity of Windows 10 and with a memory of up to 12GB RAM and 256 SSD Storage; the V330 makes for an ideal laptop that is both easy to use and reliable with a large volume of data storage. No more missing your meetings or classes with Cortana! Cortana works as your personal assistant doing work on your behalf with great speed and precision making for powerful performance, allowing you to make time for other things. Working on your laptop for long hours can be tiring. 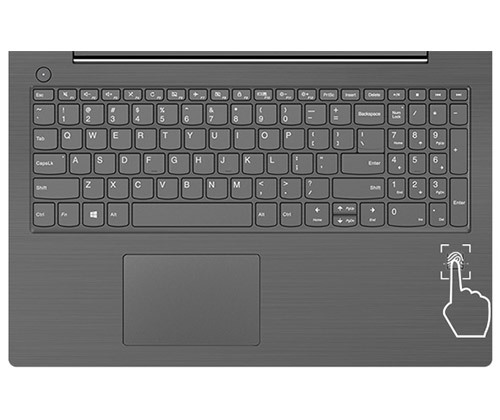 The V330 comes with an ergonomic keyboard that promises comfort and typing accuracy. The large touchpad means that you no longer require an additional mouse and the full-sized keyboard lets you complete work with greater efficiency. The V330-151KB has plenty of life in its QuickCharge battery and also comes with an Ultrabay drive that gives it the flexibility of adopting an additional battery or optical drive. 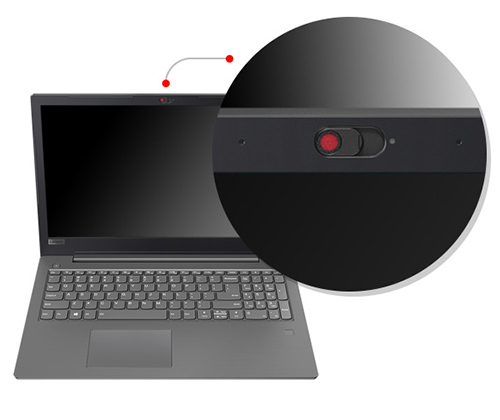 The Lenovo V330 also comes with security features such as the physical camera shutter, Touch Type fingerprint reader and the incorporated Trusted Platform Module (TPM) 1.2 firmware, so no more worries about losing upon all those important files. The TPM works with Windows 10 Blocker to encrypt all the data and passwords. In addition, the Active Protection System (APS) automatically shuts down your hard drive when it detects a fall, providing greater security. It is time to rest your worries about physical theft of your precious gadget. The Lenovo V330 incorporates the Kensington lock slot, which helps in preventing physical theft. Also, you can now access your personal Lenovo V330 with the fingerprint scanner or the Windows Hello facial recognition without the hassle of remembering passwords. 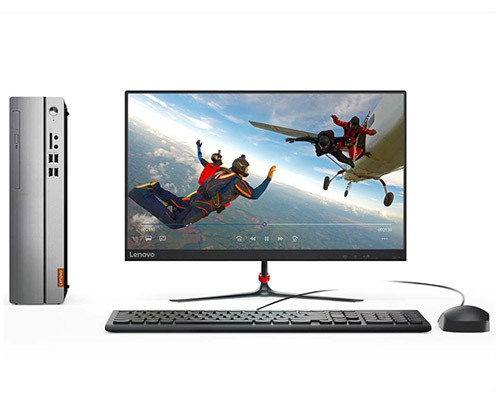 The Lenovo V330 will not disappoint you with its durability, reliability, performance and security – whether you are a student or business professional. Are you a student? Enjoy a special 2% discount on your purchase. It is an investment worth making. Happy Shopping! Shop the whole Lenovo V330-15IKB range. 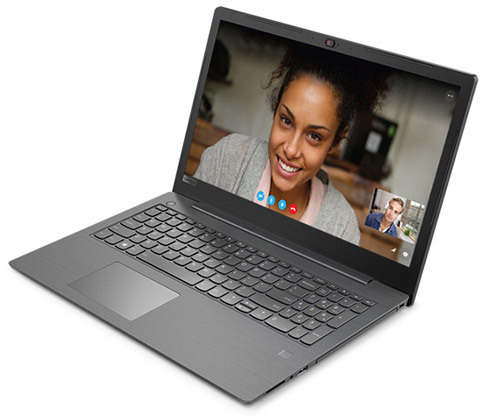 It may not have the best display out there, but the Linx 12X64 does have a Full HD (1920 x 1080) IPS display, making the laptop a huge bargain to buy. The laptop has an incredibly low black level of 0.25cd/m2 at maximum brightness thanks to its presentable contrast ratio of 1148:1. Despite the simple hard plastic shell, the sleek aluminium kickstand is infinitely adjustable so you can easily pop the up the laptop on a desk or lay it flat simply by folding the kickstand away. 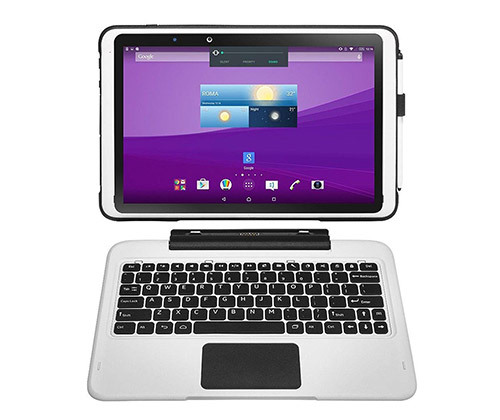 The keyboard is attached to the bottom of the tablet with a magnetic strip, making the keyboard extra-comfortable to type on. 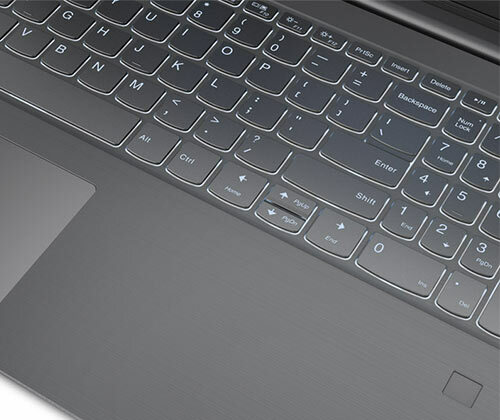 The Linx 12X64 is even easier to navigate with an accurate trackpad built-in under the spacebar. 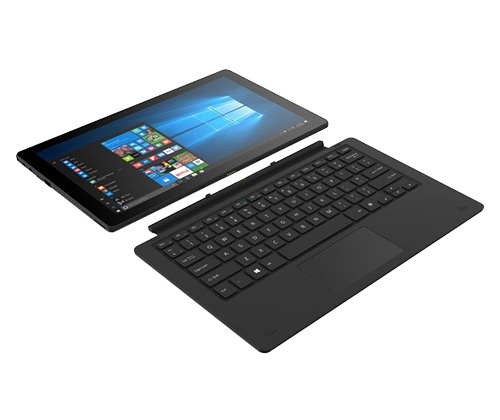 The Linx 12X64 comes with fairly reasonable performance as an inexpensive alternative of the Surface Pro. 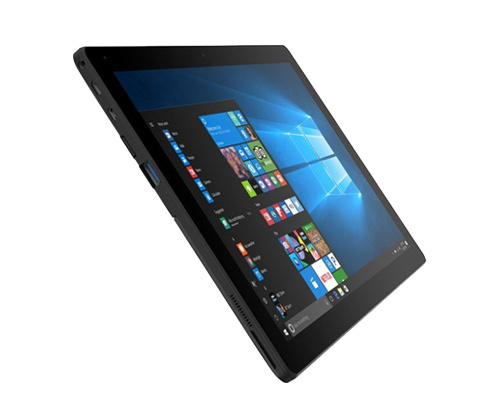 Equipped with a 1.44GHz quad-core Intel Atom x5-Z8350 processor and 4GB RAM, the laptop is more than sufficient for web browsing, light multi-tasking and different kinds of office work. The battery life of the Linx 12×64 is brilliant so you won’t have to worry about taking a charger along on the go! 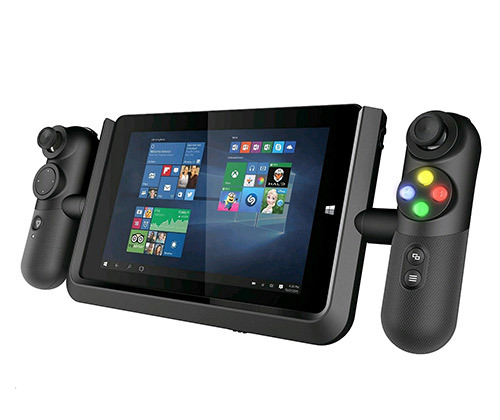 It’s not for intensive gaming, but it’s perfect as a multitasking device for everyday. It is definitely adequate to help you with your heavy workload at university or at work. The laptop is able to run for more than 7 hours before it runs out of battery. Its USB-chargeable feature makes it a great travel companion too – simply connect it to your external devices. 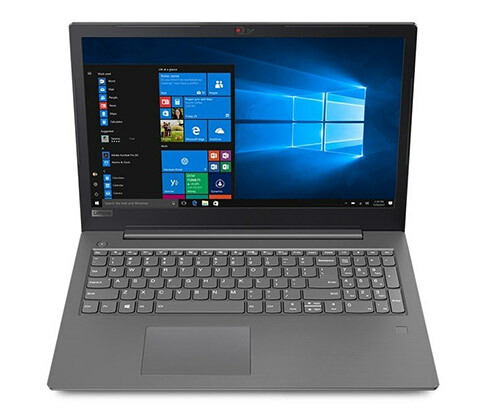 The Linx 12X64 is an impressive device given the fact that you’re getting a 2-in-1 Window 10 laptop with a Full HD Display, a bundled detachable keyboard and a long-lasting battery at under £300. It is an exceptional low-cost choice particularly if you’re a student on budget looking for something practical to handle your day-to-day tasks. 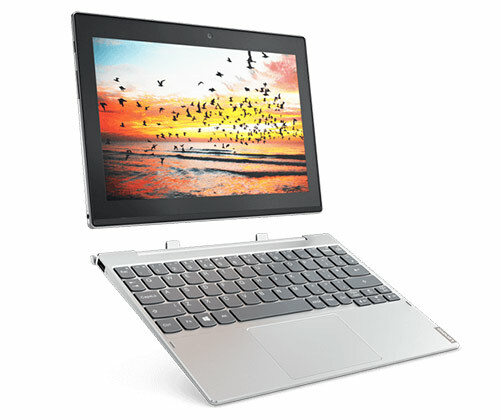 Get your hands on the Linx 12X64 here at Laptop Outlet today. The Linx 12X64 not the one for you? Not to worry, check out our selection of convertible laptops. For more updates on latest releases, top picks, helpful reviews and other tech news- visit our Laptop Outlet blog. Yes, that’s right! 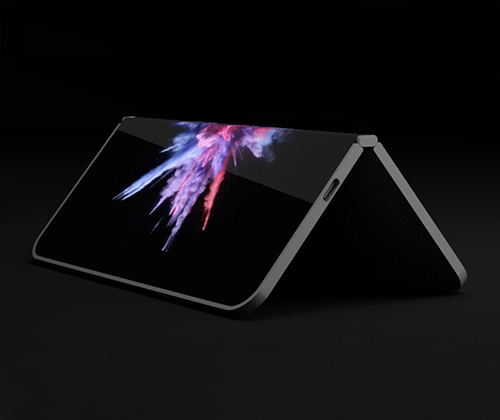 Microsoft is working on a pocket-folding Surface tablet which will be ‘new and disruptive’. This device will be foldable and offer users dual touchscreens and the ability to make voice calls and send texts, similar to Samsung’s Galaxy X. There has been a great buzz about this project by Microsoft, and its name is “Andromeda.”. It is rumoured the device will be similar to a pocket journal and can be opened and closed like an actual notebook, and fit into a pocket. This new and innovative device will actually go to blur the lines between the personal computer and mobile device. According to Microsoft, this new pocketable surface device contains everything that makes it the most innovative technology of the coming years. The factors like; new efficient hardware, the software will get the most pleasuring experience of versatility and easiness of computing in hands. The design of this new innovative computing device will be complemented by the Surface Pen-Like stylus, which is rumoured to match the 3D style of the concept images. As you can see in the image, the device has a book-like hinge which constitutes dual screens that are filling out into a full tablet. Well, if we talk about the recent report by Microsoft, then the company is experimenting with the ARM chips, but still, the device could stand out on Qualcomm and Intel Platforms. In simple words, in the coming days, we can expect a mixed kind of reality handset in the market. Well, nothing is fully confirmed yet about the unreleased pocket-folding device, but the rumours has shown that Microsoft actually wants to create a device with two different displays. The company is not manufacturing a flexible screen, but an innovative hinge design for multiple tasking. Furthermore, Microsoft is working on the Windows Core OS; it is a new modular version that will help in operating Andromeda. A full version of Windows 10 which will be optimised for all form factors. 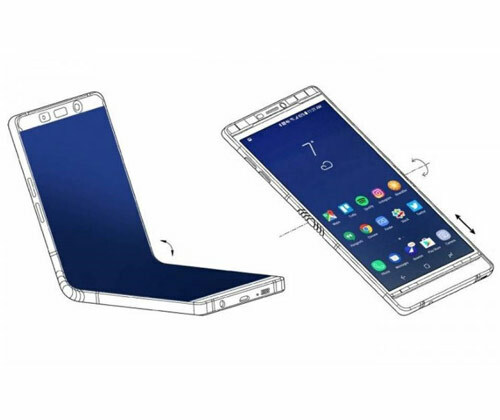 So, till now the designers have already imagined the Andromeda with amazing foldable display, features, and factors. But everything is rumored until the release of the new mobile device. In other words, we can say Microsoft wants to invent some new product category whose primary idea will come down to a “Hinged Dual Screen Device”. This upcoming device will be Microsoft’s long awaited “re-entry” into the smartphone market, although positioning itself within enterprises, schools and prosumers/creators market where volumes are low. Finally, what you’ve been waiting for, the price and release date! According to sources, it has been predicted that Andromeda will be positioned as a premium device, with the pricing to correlate to this which could cost around $1000, if not more. Microsoft originally planned to announce the release of the device October this year, but sources tell us that now Microsoft has delayed the launch till 2019 due to being unable to complete the Windows Core OS in time for launch this year. Fortunately, this will allow them to make improvements and fine-tune the device. What are your thoughts on a foldable phone? We’re excited to see what will unfold of this new game changer in the smartphone market! Keep up to date on the latest Microsoft news here! It is the generation of modern technology making lives of every person easier and user-friendly. Enter this new technologically advanced world with TetraTabs, made easier to purchase in the UK at cheap prices and astonishing deals! 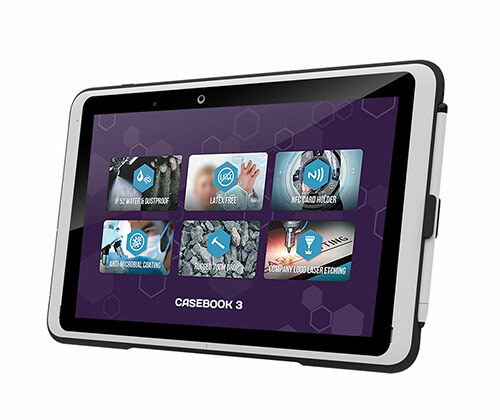 The TetraTab Casebook 3 is all you need to buy right now to experience a completely new version of 2 in 1 tablet that can be used as a laptop anytime. Before you choose what to buy, care for your health, with the ultimate decision of TetraTab designed to meet the standards of UK Healthcare in order to safeguard customers. The special feature of a Latex-free with an antimicrobial coating TetraTab is one of its kinds, offering great protection. Enjoy a healthy use of technology in an affordable manner. 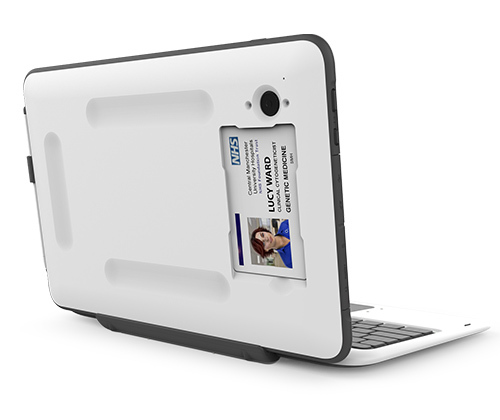 The Casebook is the choice for any healthcare workforce who requires secure and robust mobile computing. 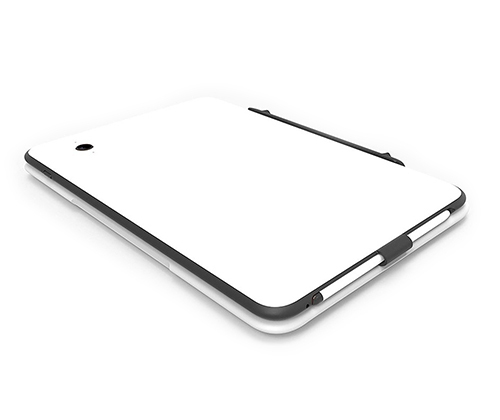 Another distinctive feature of the Casebook 3 is that it is rated IP52 that guarantees a special protection against dust and water ingress as it is dust and spill resistant, making it favorable over other tablets. It is manufactured in the most durable form, being less vulnerable to getting broken or damaged as it can survive falling on concrete up to 0.7m. Being shock resistant, you don’t have to worry about the reliability of the device falling. It is an ideal pick for those involved in any of primary, manufacturing and service sectors to buy TetraTabs in UK, at affordable prices. This portable device can be carried with you easily anywhere as it is lightweight and can be used as a tablet or a laptop whatever you require. When using as a laptop, use the detachable keyboard, ideally for report writing, creating presentations or sending emails. 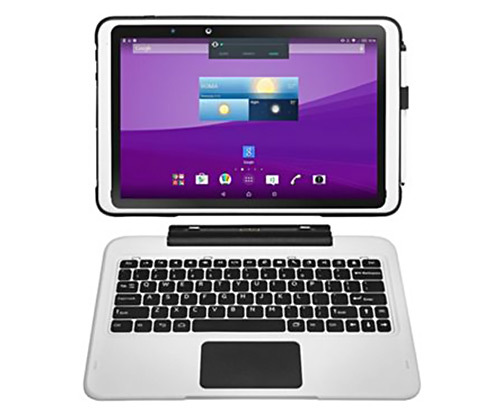 However, you can easily transfer it into a tablet instantly through detaching the keyboard. It is time to move and travel with your handy travel companion, featuring a bright and clear touch screen with stylus or multi-touch finger input. So don’t worry about taking your notes in business meetings or just relaxing with your favourite music, movies or binge-watching your TV shows. Capture high-resolution pictures and videos from the 2MP front and back camera. 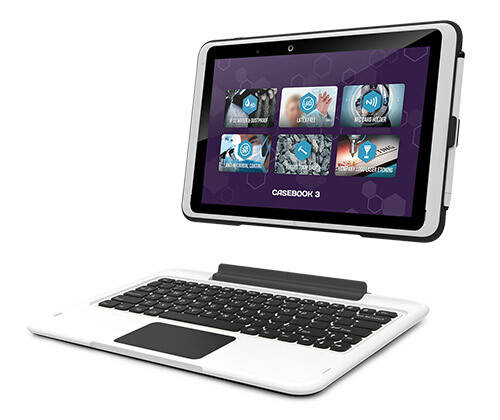 The powerhouse TetraTab Casebook 3 is powered by an Intel Cherry Trail CPU, 2GB RAM and a storage capacity of 64GB. Also you may externally add more memory through an SD Card up to 32GB. 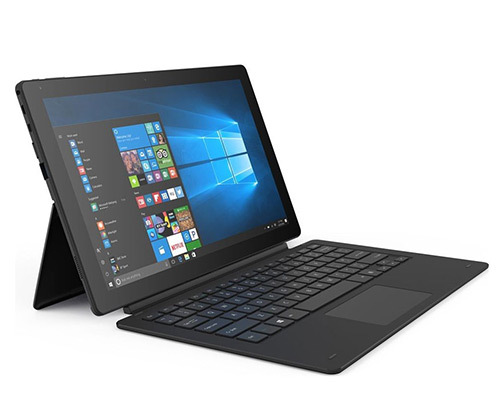 Despite the lightweight build, it has more power and definition for a 2 in 1 tablet/laptop, with a choice between Android 6.0 and Windows 10 Pro integrated to offer an up to date system according to your needs. 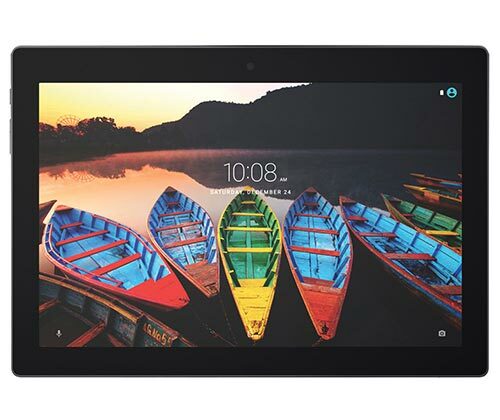 Use your tablet with WiFi or more excitingly 4G services, making it more user friendly. It is high time to leave behind the need to buy both laptops and tablets. Now it is the modern era of 2 in 1 TetraTabs, offering you all in one package in just 796g, but with an extremely powerful system and full fledge features of both. Use it continuously for six hours without the need to plug in your charger, with a nine days standby time. No need to worry about any dust, water or shocks, as you are guarded with TetraTab Casebook 3! Are you on the move? Don’t forget to avail the chance to buy TetraTabs in UK at cheap prices and amazing deals now! Microsoft is dropping Windows 10 S, originally tailored to rival Chrome OS, months after its launch. Instead, the software giant is changing its approach, introducing a new “S Mode” to existing versions of Windows 10. Windows 10 S was released last year in May as an education-focus version of Windows that is cheaper and limited to running Microsoft Store apps. Compared to other Windows operating systems, it is built to be safer and more capable of maintaining its performance over its lifetime. 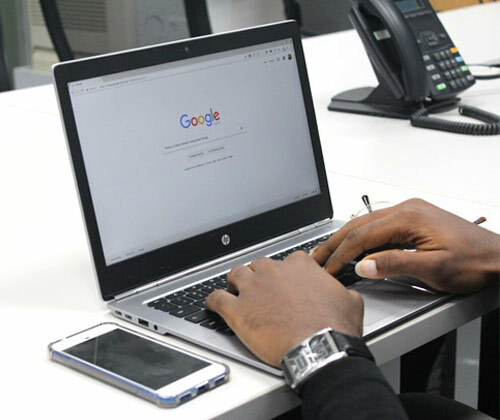 The OS was designed to compete with the restricted but secure Google Chrome, which has gained tremendous success in the business and education markets. Nevertheless, Windows 10 S received a mixed reception due to its limitation on the functionality of Windows. While it will be discontinued as a standalone operating system, Microsoft will incorporate Windows 10 S into the existing Windows 10 Home, Enterprise and Pro. The “S Mode” will restrict any copy of Windows 10 so that it is only compatible with apps downloaded from the Microsoft Store, and will have the same features as the Windows 10 S OS. Microsoft’s new strategy will effectively tie more users to Microsoft products. Since its launch last year, Windows 10 S is only available on budget laptops and Microsoft Surface. Now, with S Mode embedded in more devices, features of 10 S will become more accessible to users. According to reports, Windows 10 Home customers will be allowed to disable the S Mode and upgrade to the full Windows experience for free. However, if you’re using Windows 10 Pro, it is going to cost approximately £35 to unlock the full version. 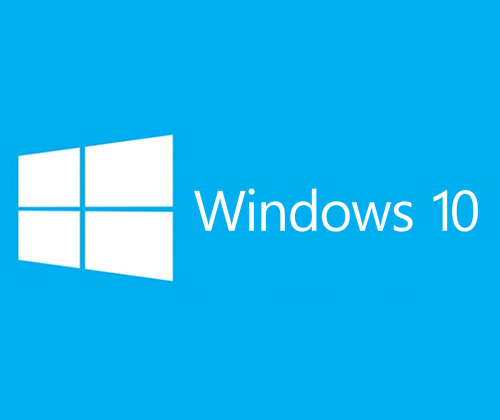 It is reported that 60% of Windows 10 S users have remained on the OS, rather than upgrading for free. Among users who choose to upgrade, 60% do so within 24 hours of having a Windows 10 S device. If they don’t make the move within 7 days, 83% of them will stick with 10 S. It seems that Microsoft’s tactics in drawing more users to stick with the streamlined version of Windows, hence reducing their use of non-Microsoft apps such as Chrome and Firefox are successful. The strategy is risky yet clever. Microsoft and its partners have to further explain and clarify the transition of Windows 10 S from an independent OS into “S mode” in current Windows 10 versions, or else consumer confusion will be a problem. Otherwise, the S Mode will enable Microsoft to continue to offer Windows 10 S while simplifying the upgrade process. What are your thoughts on the new “S Mode”? Stay tuned for more updates from Microsoft! Keep up with all the latest product launches and tech news at www.laptopoutletblog.co.uk. Reports suggest that the experimental Samsung Galaxy X was presented with a launch schedule during a private event at this year’s CES. Two models were reportedly shown in the behind-closed-doors showcase, an inward folding version and an outward folding one. However, no images have been leaked. We know that the Samsung Galaxy X is going to be a foldable 2-in-1 phone and tablet, but we still can’t be sure how it exactly works. Samsung has previously demonstrated curved and bendable screens, but a foldable one is still yet to be displayed openly. According to rumours, we’ll be expecting a 4K (3840 x 2160px) resolution. 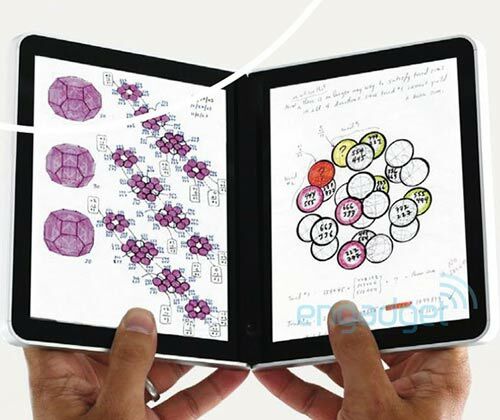 The 5-inch display could be folded out into a 7-inch mini tablet. The foldable phone could also come with a dual-camera at the rear. It is very likely that the phone is going to be powered by the latest Qualcomm Snapdragon 845 or Exynos 9810 processor, with minimum 6GB of RAM. There will probably be a microSD card slot and a non-removable battery. 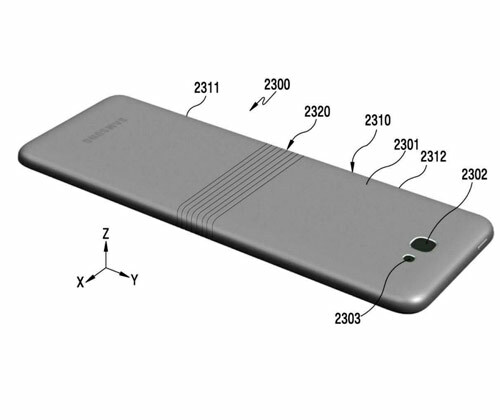 In late 2016, Samsung applied for a patent that gives us some hints on how the Galaxy X may eventually look like. It is a hinged device with a design very similar to that of the Microsoft Surface Book, which suggests that there may be a similar small cavity when the phone is folded over. Nevertheless, it doesn’t change the fact that the Galaxy X is an unprecedented piece of smartphone technology! When it comes to flexible OLED displays, Samsung is not the only player in the field. LG and Lenovo have demonstrated bendable displays and devices at a number of industry events. The two competitors have also registered multiple patents for the technology. LG even has curved OLED screens in production, which are used on its monitors, TVs and curved smartphones like the LG Flex. While LG may be taking the lead on the display side with its announcement of the 65-inch rollable OLED TV at CES 2018, it’s a brilliant strategy of Samsung to become the pioneer of foldable smartphones. Samsung has confirmed that the foldable Galaxy X will be released in 2018, probably towards the end of the year. However, it is reported that this avant-garde gadget will only be available in a limited number of around 100,000 and exclusively in Korea, Samsung’s home nation. This quirky folding phone may be one of the hardest to bag in 2018! We can’t wait for the Samsung Galaxy X to be finally released! Are you as excited as us? Keep up with more updates on the Samsung Galaxy X, helpful reviews and other tech related news at www.laptopoutletblog.co.uk. Exciting news for Chromebook users: Your frustration of not able to use Microsoft Office is finally coming to an end! All Chromebooks can now run the widely used Microsoft Office applications, including Excel, PowerPoint and Word. It’s been a year since Microsoft started to work on bringing its Office suite to Google Chromebooks. The time it took was understandable especially when the two companies are competitors when it comes to office productivity software. Now the wait is finally over. For the very first time, Microsoft Office is accessible to Chromebook users via the Google Play Store as a general release. The Microsoft Office suite has been available for a while on a small number of Chromebooks, for instance, the Pixelbook, yet this time users of all Chromebooks can get their hands on the Microsoft package. This new Android application tailored for the Google laptops is basically the same as the existing Microsoft office app except that it has been optimised to be used on Chromebooks’ larger displays. Chromebook owners will be able to enjoy the exact features of the app’s mobile version with more ease. Despite the excitement brought by Microsoft Office’s grand arrival, there are a few limitations to be paid attention to. To start with, the free version of Microsoft Office is only available on Chromebooks with screens no larger than 10.1 inches like the ASUS Chromebook Flip C100PA. Anything larger than that will require an Office 365 subscription in order to get the applications running on your device. Also, the ability to run the Office Android app on older Chromebook models is still restricted, as Google Play is mainly supported by the latest Chromebooks. Due to the above limitations, there will be no surprise if Google’s G Suite remains as the favourite for Chromebook owners. Perhaps this explains why Microsoft has not made much noise about the release of their most popular applications on Chromebooks – no formal announcement regarding the arrival has been made, and they have not provided any comment on the news of the release of the app. Nevertheless, it does offer another option for the users as well as businesses using Microsoft’s software. After all, Microsoft Office does have a secure fan base thanks to its rich features. The arrival of Microsoft Office on Chromebooks is anyhow remarkable as it is a big move for Microsoft that marks its recognition of Google’s lightweight laptops as an increasingly popular platform. Stay up to date with more tech news at www.laptopoutletblog.co.uk. The Windows 10 fall creators update rolled out to PCs last week! If you’re a gamer, you need to know the updates made to the Windows 10 Fall Creators Update. Microsoft has finally switched on the TruePlay feature that works to filter out common cheats in all games powered by Windows software. The TruePlay feature was first introduced as a test feature in July, but it’s finally out. Read on to find out how it works. The TruePlay feature works by running in ‘protected mode’ or operating in the background to notice any cheating performance. Not sure about using the TruePlay feature since all your data is being transmitted? You can easily switch it off if you’re not so sure! However disabling it means that online game options will be limited to you. The protected mode is designed by Windows to protect gamers against a common method used for cheating through access to game code such as aimbots or wallhacks, so we can’t expect every method of cheating to be blocked out. Aimbots are a type of computer gamer bot that are often used in multiplayer games for automated targeting, and ‘wallhacks’ are specific programming pieces designed to give unfair advantage to the user. So how will it change gaming? While gathering data throughout the game, you’ll get alerts when the system notices any cheating behaviour, and when it’s confirmed by TruePlay the data will be shared with the developers. 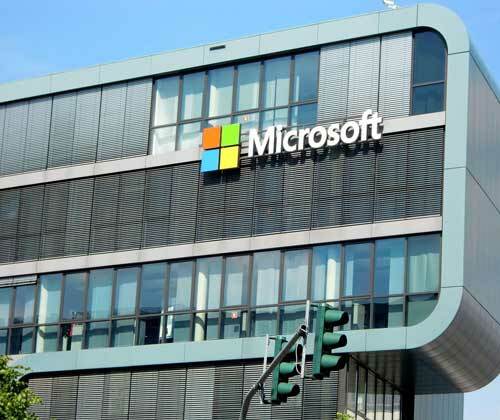 Microsoft says: “To ensure and protect customer privacy while preventing false positives, these data are only shared with developers after processing has determined cheating is likely to have occurred. The TruePlay APIs for the Universal Windows Platform (UWP) allow limited interaction between games and the game monitoring system on Windows 10 PCs. These APIs are located in the <gamemonitor.h> header”.